I am b ack in Sweden again and it is 3 degrees below zero and snowing. In other words a beautiful winter weather. No problems getting a cold storage to work. Just heat the room up to 4-6 degrees. 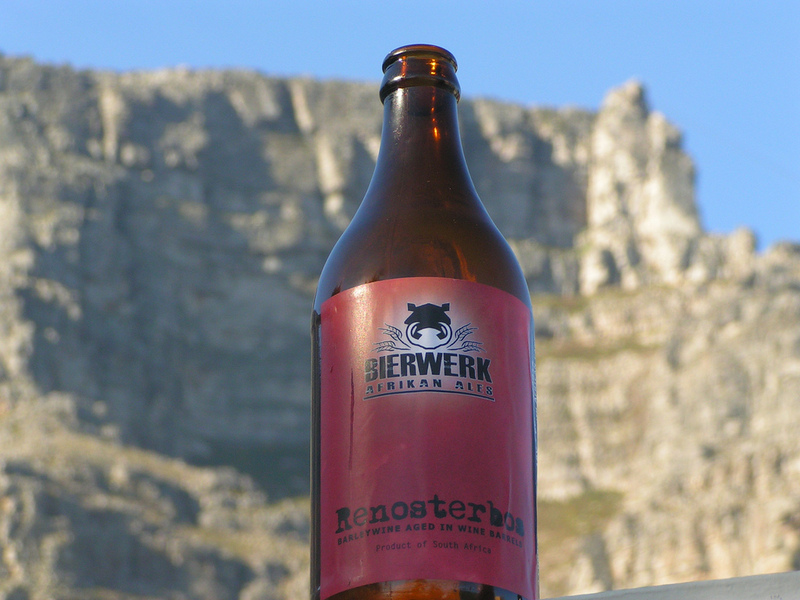 I brought back a couple of Renosterbos bottles (from Bierwerk) this time. I am planning to store them in order to see if they improve over time. Hopefully the “Brett” is going to the job. Renosterbos is an interesting beer in many aspects. Not just because it has been on “infected” wine barrels for seven months and that it is one of the first Barley Wines in South Africa. I think this could be the beer that make wine-makers and wine-drinkers to understand the greatness of beer.